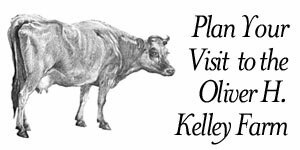 Our mission is to preserve and support the operation of the Oliver Kelley Farm, a National Historic Landmark that was the birthplace of the National Grange in 1867. Our members include a wide range of folks from local school kids and teachers to members of Grange organizations from across the country; from lovers of local history to lovers of historic farming methods and antique farming equipment from across the state; from lovers of a story well told and well acted to those seeking a fun outdoor family outing. Most importantly, our membership could include you! No Foolin – “New” Farm Opening April 1st! Short drive + good price = a day of fun on the Farm. The staff are dressed for the 1860s and kids can ask questions and help them work the farm. What they do depends on the time of year, but expect to see animals working; wood stoves in use for cooking or baking; sewing or laundry; planting, weeding or harvesting from the garden or fields; and tired kids that have put in a full day of learning! Oh-so-cute! My whole family just enjoyed the beautiful old farm setting. This place is a gem. Fun and educational for all age groups. Beautiful site on the Mississippi River with walking trails. Historically accurate farm animals and costumed guides make this a must-see attraction that me, my kids and my parents and grandparents love! We go back often as activities change depending on the season. 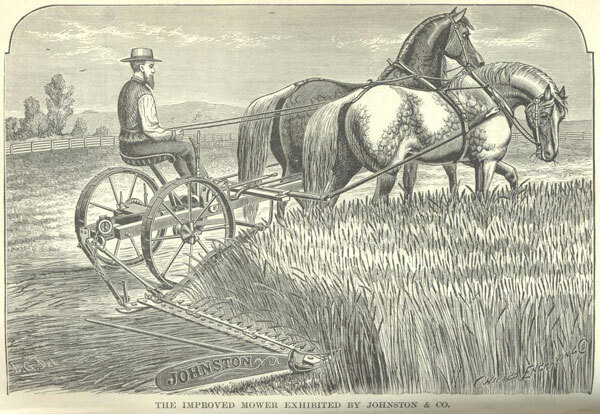 Plowing, planting, harvesting--you can help do it all! No Foolin - "New" Farm Opening April 1st!